Styled in a modern fashion with sleek lines and a mix of metal, glass, and acrylic, this coffee table will always be the centre of attention. Posing a striking and polished appearance, its retro themed inspiration shines brightly with a use of round, clear acrylic legs and a chrome-finished metal tabletop frame and stretcher. The tabletop is made from a 10 mm thick clear tempered glass that makes it the perfect display for coffee table books or stylish coasters. Meant to be a conversation starter, this tables unique and fashionable looks are sure to garner attention. 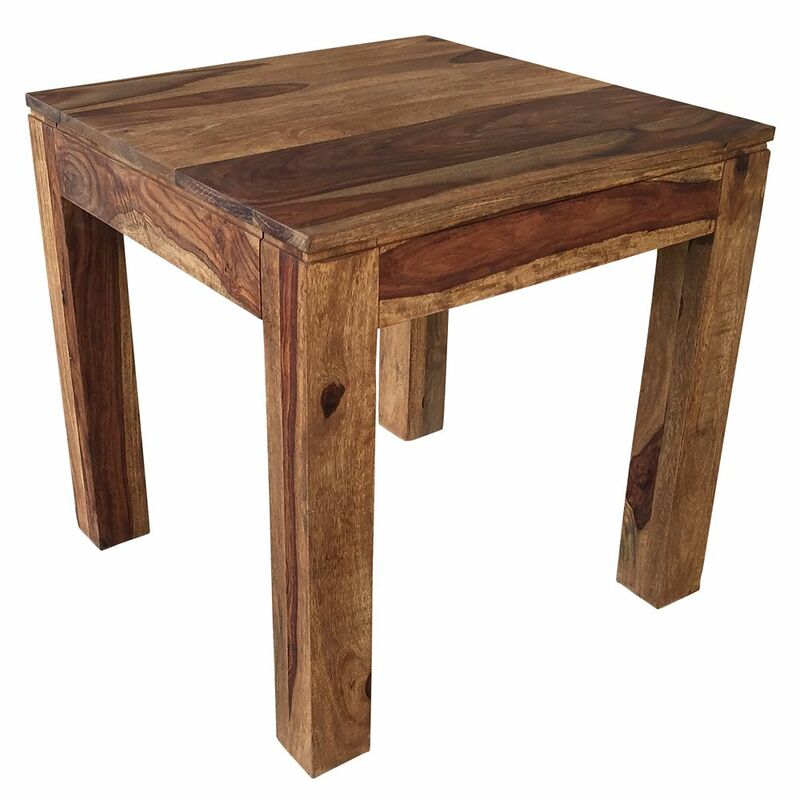 Idris-Accent Table-Dark Sheesham The natural beauty of Indian Sheesham wood shows in this solid wood, hand-crafted table. The natural beauty and finish of the wood will bring any room into the realm of extraordinary. The clean-line design combined with the raw look of the wood grain create a perfect example of rustic modern design. Easy to dress up or dress down for a formal or casual living space. Experience piece-of-mind knowing that this table is made with "green" materials. Wood characteristics include; mineral deposits, irregular grain patterns, unusual knots, seasonal cracks and splitting. Any of these may occur with changes in humidity and other severe climate conditions and are inherent in product.